With our selection programme you can easily and quickly select the right pump, sewage pumping station or intermediate sewage pumping station according to required parameters. After making the selection the programme generates the detailed report. 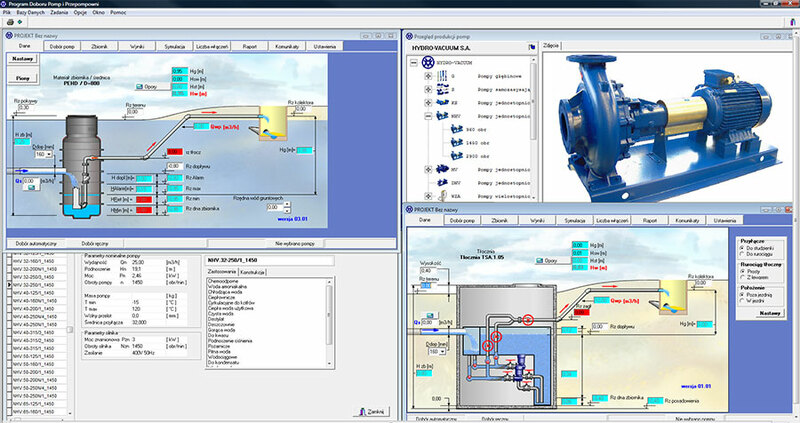 The programme also includes the module for calculations of flows in cumulative network and pumps working parameters for each pumping stations.